We will once again be offering our Christmas in September promotion this year, Sept. 10-30th. 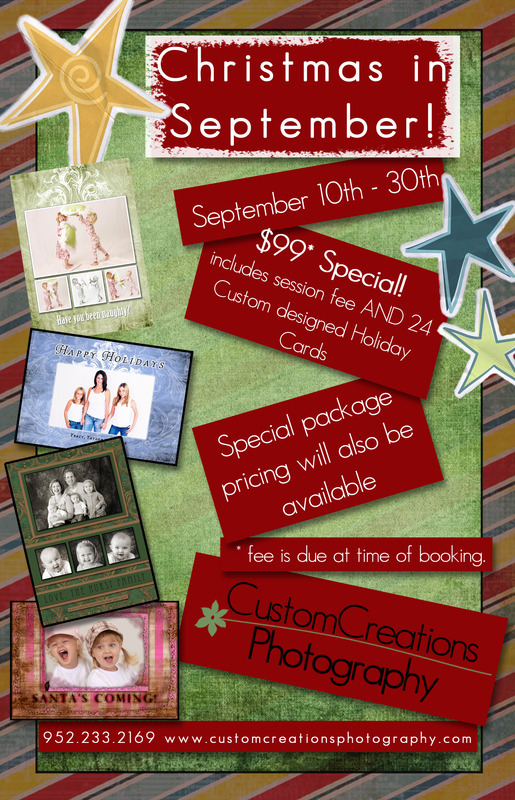 For only $99 you will receive your session and 24 custom-designed holiday cards. In addition we will also have specially priced packages, just for our September special!! Space is limited, so you will want to call early to schedule your session! Posted in Uncategorized | Comments Off on Christmas in September!